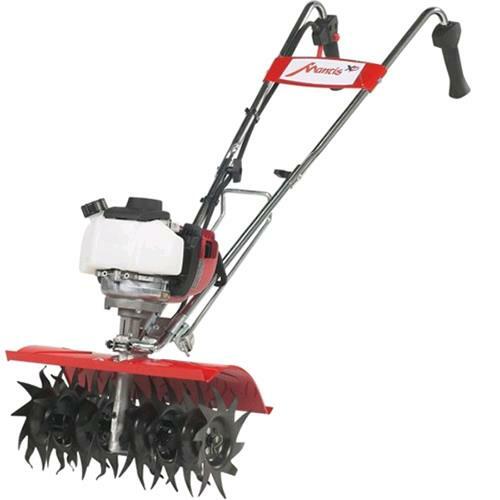 A light weight (41 lb) tiller cultivator that is easy to lift, handles smoothly, tills and weeds precisely. Unlike other small tillers it has serpentine tines than churn up soil to 10 inches deep. It creates a soft, smooth seed bed, even in problem soil. HONDA ENGINE MODEL GX25 1.5 CU IN. * Please call us for any questions on our tiller 16 inch cultivator mantis xp deluxe rentals in Portland OR, Gresham OR, Milwaukee OR, and surrounding metro area.